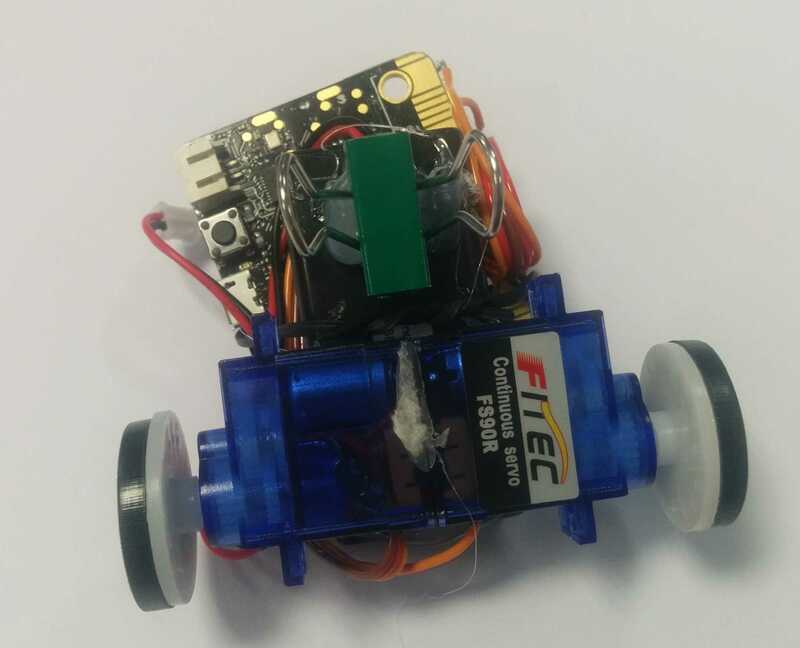 The aim of this tutorial is to show you how to create a mini radio controlled car using two Microbits and 2 servos. 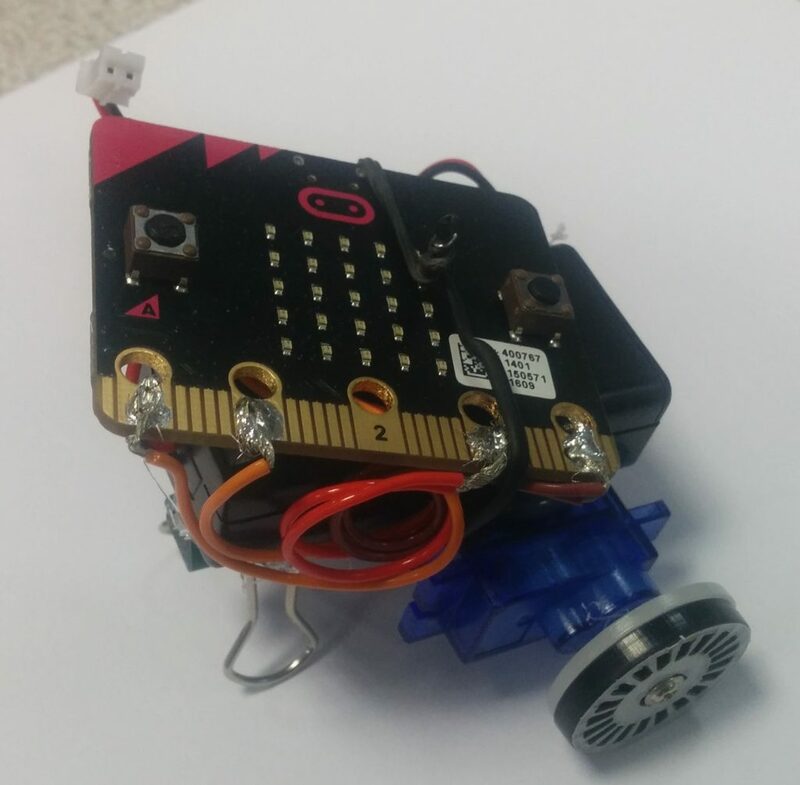 Using two servos instead of a robot car kit and motor-boards means that you can create a smaller and cheaper radio controlled car! Glue the servos to the base using a glue gun. Solder / Crocodile clip the wires to the microbit. 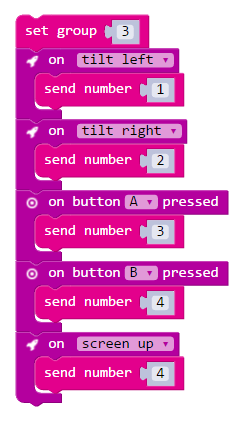 Once we have finished coding the sender unit, we need to code the receiver unit to listen for the instructions sent on group(channel) 3. 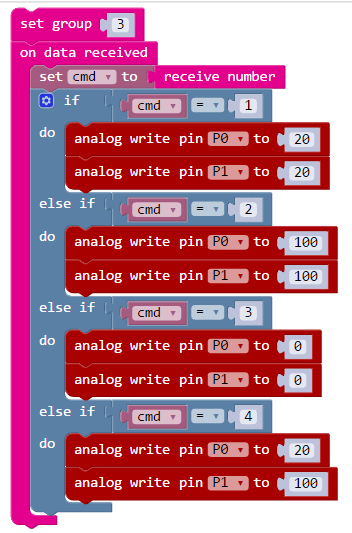 When it receives an instruction it can then output to the relevant pin. 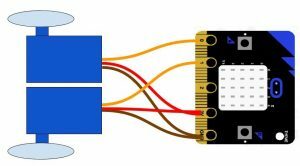 For full details on how servos work, take a look at this page. On car stop / start .